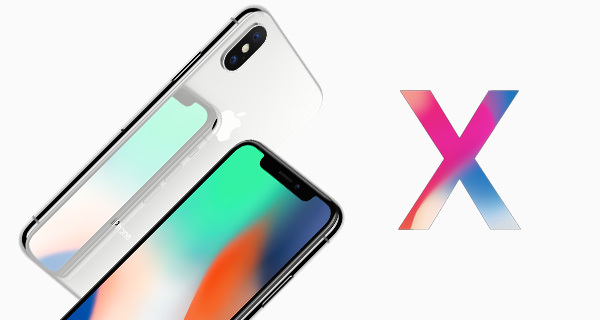 Apple’s iPhone X is still a month away from being available to buy, but Apple is keen to make sure that everyone knows just how important the device it calls the future of the smartphone really is. 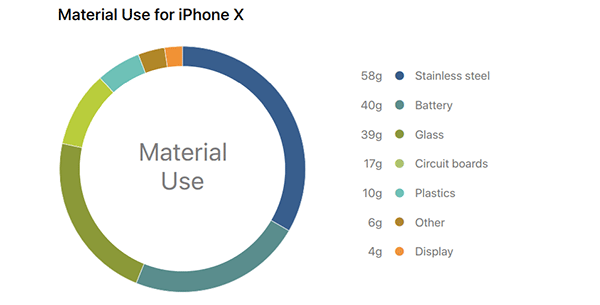 Beyond the usual “speeds and feeds” numbers that get us all excited, Apple has released a device-specific report into the iPhone X and its environmental credentials. The report explains Apple’s environmental responsibility and goes into detail as to how it goes about meeting its goals in that regard. The report, which spans no fewer than four pages, covers everything from the materials used in the construction of the iPhone X and its packaging to the emissions that will be generated from the production process and its eventual recycling. Listed in the report are the steps Apple has taken in order to minimize the environmental impact its new flagship iPhone has on the planet. If you have ever seen an Apple device announced, this list will certainly look familiar. Apple also noted in the report that the iPhone X achieved a Gold rating from EPEAT (Electronic Product Environmental Assessment Tool). 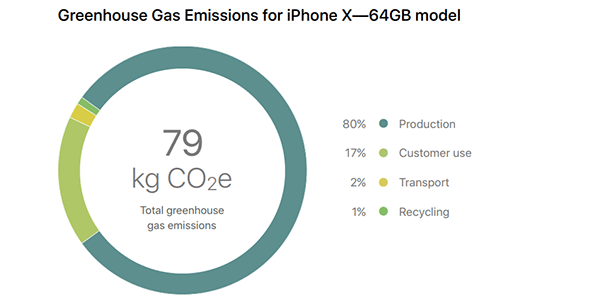 That will likely have been achieved in part thanks to Apple’s calculation that the total estimated greenhouse gas emissions for the iPhone X, over its anticipated life from building to recycling are 79kg CO2e, of which 80% is created during the production process, 17% during use of the iPhone itself , 2% transport and 1% recycling. I do not quite know how these are calculated, but I suspect it would involve enough number crunching to make my head hurt.